Our program makes Travel Now-Pay Later simple and easy. Just follow the steps below to get started. 1) Click on the "Create Account" button located on the home page of our website. Fill in the required information and proceed to the “manage credit” section. Your application is housed in this area. Please complete it and send in a current pay statement along with your application. 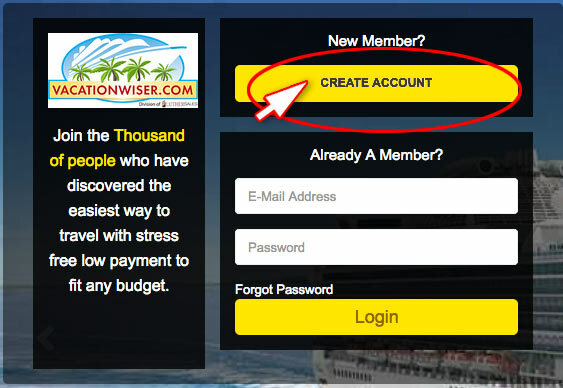 2) Vacationwiser will review your submission. Qualification depends upon your employment history, with a minimum of one year for government employees, or three years with the same establishment for employees in the private sector. 3) A personal spending limit is established on your behalf upon your application’s approval. 4) You can shop for yourself by creating desired packages inclusive of airfare, car rental, hotel, airport transfers on our website, or call and speak to one of the in-house Travel Consultants to find the ideal vacation that is customized to fit your budgetary needs. 6) Enjoy your vacation with the convenience of paying for it over 12 months’ time.